Project officer Claire Connell said more than half of new vehicles sold in Australia in 2017 were purchased by the government and corporate fleets so it was a significant opportunity. "Local governments specifically have an explicit obligation to manage their assets in the best interests of their constituents," Ms Connell said. "A number have significant emissions reductions targets in place." The research follows the federal opposition's announcement of its electric vehicle policy last week. Labor's plans include spending $100 million to support the rollout of charging stations around the country and a target for electric vehicles to make up half of all new car sales by 2030. A Labor government would also commit to an electric vehicle target of 50 per cent of new purchases and leases of passenger vehicles for the government fleet. Transport emissions account for 18 per cent of Australia's total greenhouse gas emissions and that figure is rising, according to the Climate Council.The City of Sydney has embraced electric vehicles, with 19 Nissan Leaf and Mitsubishi i-MiEV vehicles in its fleet, as well as 40 hybrid cars and 70 hybrid trucks. Lord Mayor Clover Moore said the council was waiting for electric versions of some larger vehicles such as garbage trucks to become available. "By using electric and hybrid trucks and vehicles, the City reduced its fleet emissions by 26 per cent between 2010 and 2014, and we are on track to achieve our goal of zero increase in fleet emissions by June 2021," Cr Moore said. "There are many advantages to moving to electric vehicles. They produce no tailpipe emissions, are quieter, cheaper to fuel and lower carbon if using renewable electricity. "We know we are fast running out of time to take serious action on climate change, and transitioning to electric vehicles is one way we can reduce our emissions." The ClimateWorks project engaged 43 local governments across Victoria over nine months, but Ms Connell said she believes councils across Australia have similar drivers. The report recommends a national capacity building program to give councils information and support to make the shift. Ms Connell said the latest figures, from 2016, found the average emissions intensity of a petrol vehicle was 182 grams of carbon dioxide per kilometre. The emissions intensity of electricity from the grid was generally less - in NSW, for example, electricity from the grid contributed 160 grams of carbon dioxide per kilometre driven in an electric car. This would improve as electric cars became more efficient and the electricity grid shifted to renewables. The study analysed the councils' fleets - which included hatchback and sedans, larger SUV vehicles, vans, mini-buses and small trucks, utes and small box trucks - and the actual usage patterns. The analysis looked at the total cost of ownership of switching to electric vehicles where an appropriate equivalent was available. The analysis didn't include the cost of charging infrastructure because different councils planned to deal with this differently. Some councils would see no financial benefit, the study found, while others would save money, depending on their usage patterns. 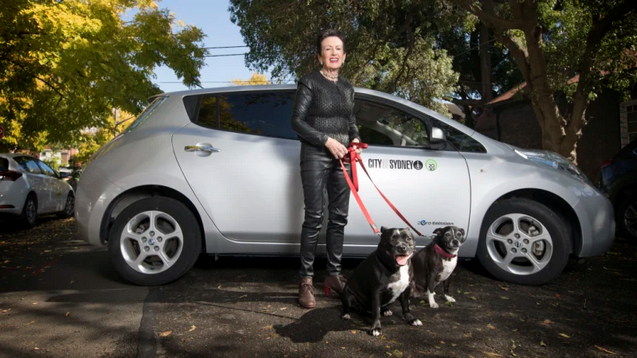 One council that could switch to electric vehicles for hatchbacks, sedans and vans would save 1-3c per kilometre, based on owning the vehicles for six years, driving 20,000 kilometres a year and energy costs of 15c per kilowatt hour.